COLCHESTER HIVE: Adults: Get Learning! 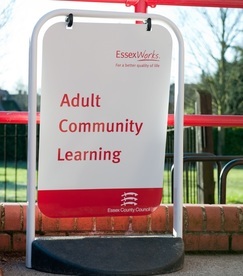 The new ACL adult learning course guide is packed full of intriguing and exciting courses and is set to land on doormats across Essex in the new few weeks. With courses set to start in the New Year an ACL course is the perfect Christmas gift for the person who has everything, or an excuse for some quality “you time” to perfect a new skill in the New Year. From floristry to photography; Spanish to spray tan application; sewing to sugar craft; aromatherapy to art classes, there are hundreds of opportunities to learn a new hobby, have a go at being creative and stimulate mind and body. Find out more by visiting the Adult Community Learning website or call on 0345 603 7635.